Utilizing the power of animated films as positive propaganda, Cartoon Diplomacy aims to spread cultural understanding, dismantle stereotypes and build healthier relations between nations. Our first project, inspired by films like "The Three Caballeros" and "Saludos Amigos", is in the early development phase. It includes a series of animated shorts to promote cultural exchange and positive connection between the people of Iran and the United States. The Cross Cultural Expressions Community Counseling Center (CCECCC) provides affordable therapy in a multicultural setting to immigrants, refugees and other underserved populations. Located in Encino, California, CCECCC offers culturally and linguistically proficient therapy and supportive services in a variety of languages, including: Persian (Farsi), Russian, Spanish, Armenian, and English for individuals, couples, family and groups. Scheduled for launch in Summer 2016, the Culture Walkers website will be a forum for people who appreciate and celebrate other cultures. The site is dedicated to cultural exploration, exchange, expression and bridging gaps. Through the discussion forum and blog, individuals can share their customs, pose and answer related questions, and participate in an online community. 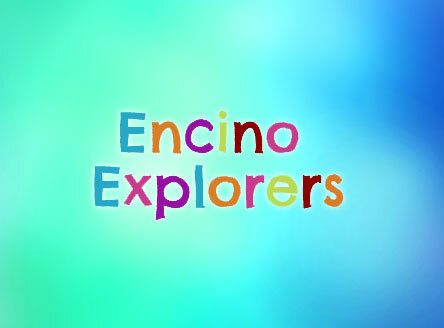 Encino Explorers are a group of home-schooling families that meet in Encino, CA 4 days a week with teachers who facilitate the daily activities. My Immigrant Voice is a collaborative project in which a team of therapists, acting coaches and documentary filmmakers assist immigrants in processing their life circumstances and expressing their story through the medium of theatrical arts. Participants learn to process their immigrant experiences, work through traumas, find their voices and share their stories with a wider audience to increase cross cultural understanding. Launched in March 2016, PIF-TV ("Persian Iranian Farsi Television") is a humor oriented Persian/English language website that provides Iranians around the world a forum to express themselves in their own words. The site showcases viewer submitted videos and PIF-TV original productions such as "Piyadeh" ("Pedestrian"), the video journal of a young man who migrates from Tehran to the United States and walks the streets of Los Angeles exploring the city. Extremism breeds extremism in a self perpetuating cycle that can result is fear, alienation, and violence. The Tolerance Project aims to increase mutual appreciation, respect, and inclusiveness to minimize the potential for extremism. This multi-pronged outreach program seeks to engage at-risk communities in cooperative dialog, offer an alternative, unifying narrative, increase access to positive opportunities, and provide tools for civic leaders to accomplish these same objectives in local communities.